A Shih Tzu Puppy Weight Chart can often be helpful if you want to estimate just how big your puppy will get. 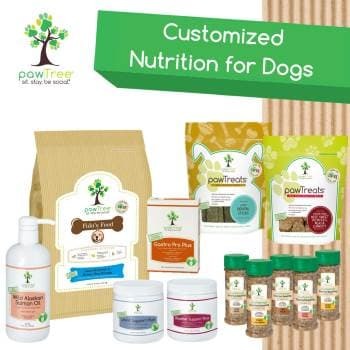 It is generally accurate for other small breed dogs but not medium, large or giant breeds. Perhaps the best overall indicator for adult size in puppies is their parents. You will never get a genetically tiny Shih Tzu from two parents who weight 14 pounds each. That is not to say that there could be a tiny puppy in the litter, just less likely. Simply going by the size of the parents is not enough. Your puppy shares part of the DNA that is provided by the parents, but also maternal and paternal grandparents. As you go farther back into the pedigree, the ancestors have less effect on the current generation, but there is still that trace DNA. In my personal experience, I have found that it is possible for the smallest puppy in the litter (the runt) to catch up to his litter mates and often pass them in size. Sometimes puppies are born smaller than others due to their location in the womb. Other times, these small puppies are just genetically small. 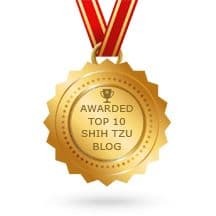 If you are interested in reading more about small Shih Tzu puppies, I encourage you to read our article on Imperial Shih Tzu Dogs. At Miracle Shih Tzu, we do not deliberately try to produce smaller and smaller dogs, but it does happen from time to time. As we use smaller sized parents, our puppies are born smaller, but as of this writing, we haven't produced any super small teacup size Shih Tzu. Remember, the American Kennel Club (AKC) states in their standard for the Shih Tzu breed, dogs should be between 9 and 16 pounds. For more information on the Shih Tzu standard, visit the American Kennel Club website. I often get asked if I have any teacup puppies. 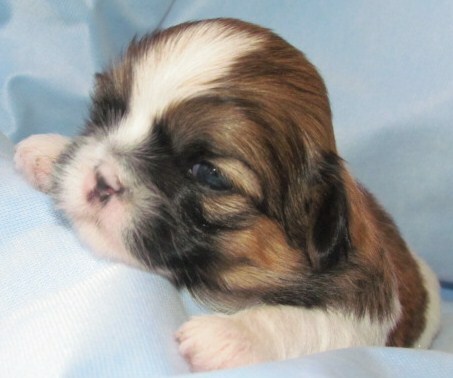 Others may inquire about miniature or Toy Shih Tzu puppies and I get at least a few requests for Chinese Imperials. But just what does all these terms mean? When people inquire about teacup or miniature puppies, I normally need to ask them to describe the size they are looking for before being able to answer their questions. There is no standard way of categorizing these smaller Shih Tzu dogs, although some websites might have you believe otherwise. The terms are arbitrary and can be used to describe any dog that is smaller than the standard which is 9 pounds. There is some anecdotal evidence that the term Chinese Imperial may be describing dogs that are smaller than the normal Shih Tzu. Most of this is shrouded in mystery and arises from information obtained from historical documents from China long before the modern development of the breed. Whether this is true is a matter of opinion and the jury is still out on this "theory." There is no accepted size or weight variation in the Shih Tzu breed. 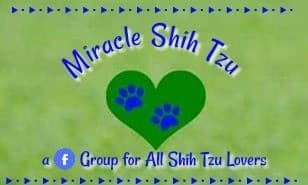 I can tell you that small Shih Tzu dogs exist and are not considered to be a myth as some have claimed within the American Shih Tzu Club. Shih Tzu that are below the standard size are generally healthy but may have a smaller bone structure. Assuming that the small Shih Tzu is of normal weight and muscular, it is still important to assure a healthy lifestyle. There are some precautions that should be noted. Hypoglycemia is a major problem in very small puppies and can be life threatening. 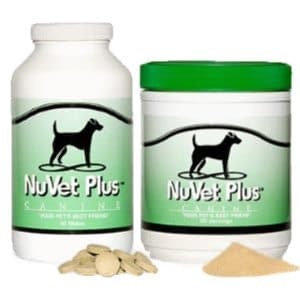 Hip dysplasia, stenotic nares and Luxating patella tend to occur more frequently in smaller sized dogs. Dehydration may occur if the undersized dog does not drink enough water. Tiny Shih Tzu puppies may have trouble regulating their body temperature and will feel the cold easier than their normal sized cousins. If you are curious about puppy development, you will want to check out our two articles on the growth and development of puppies. Puppy Development Milestones and Puppy Development: An Overview. Everyone wants to know how big their Shih Tzu puppy is going to be when they become an adult. A Shih Tzu dog obtains its adult weight between 9 and 12 months. Some will still gain weight especially if they take in more calories than they burn. The growth rate in this breed does not uniform, but rather there are periods where the puppy grows faster than others. The first month, for example is a period of rapid weight gain, but once the puppy reaches 8 months or so, their weight gain slows. 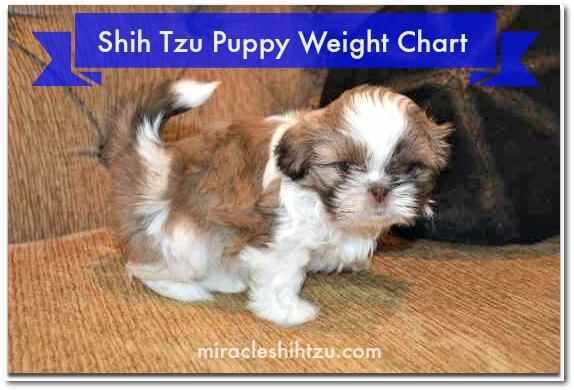 You can get an estimate of what size the puppy will be as an adult by using a traditional Shih Tzu Puppy Weight Chart. Often these figures end up being less than accurate. It is often better to get a range of weights rather than an actual weight based on the size of the parents. The following weights are estimates. Shih Tzu owners who also have raised children know how important it is to tract weight and height measurements at each well-child visit to the pediatrician. At present, we are not that sophisticated to be able to predict growth curves within the breed, but many Shih Tzu breeders (myself included) enjoy hearing from previous puppy buyers who will reveal their puppy's adult weight. Over the years, one can begin to predict with more and more accuracy what a puppy will be as an adult. With that said, however, there are always exceptions. For this Shih Tzu puppy weight chart, we took the weight at a specific age and extrapolated the adult weight.